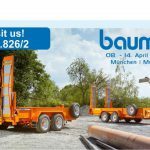 Visit us at the next Bauma in Munich from April 8th to 14th 2019! 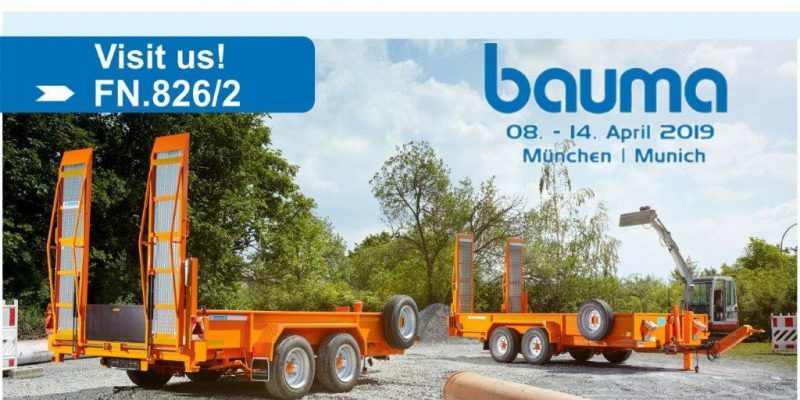 Minitrailers as well as 21t Low Bed trailers or 18t Three side tippers. You are welcome for further information and check our quality! 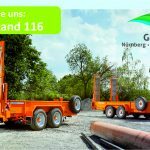 We will be grateful to send you offers of trailers suitable for the machines you want to transport. 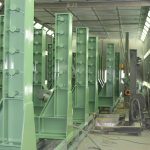 We also offer varnishing of steel parts upon request!